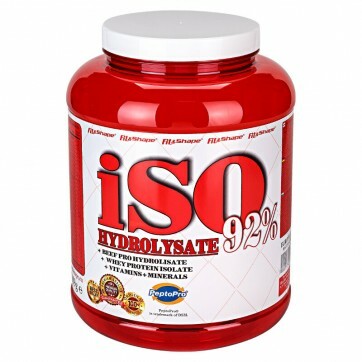 Iso Hydrolysate ® is super fast absorbable protein that contains the best protein sources in the world. This is a 92% whey protein, which is worth every penny. 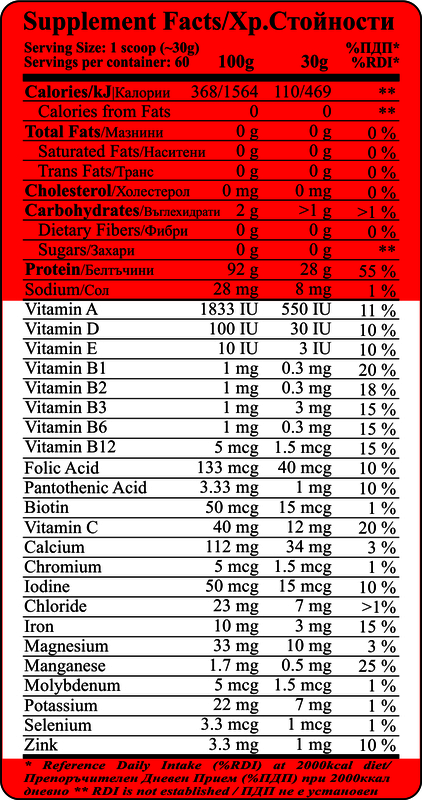 Each protein source that we added to the formula has the highest biological value. Iso hydrolyzate will help you improve your sports performance and personal records. Beef protein hydrolyzate has a high content of the amino acid proline, which increases the natural production of creatine in the body - additional strength and durability for higher sports performance. Typical of this type of protein shakes is watery structure and low density. Unlike many other shakes on the market, this product gives only protein from which your muscles need without being strengthened. This product is suitable for increase lean muscle mass. It is suitable to be taken before and after training. Rapid absorption will recover and provide a steady stream of amino acids to the muscles. Take 30 g dose 250-300ml water or milk, extra protein intake at any time of day. For best results take one dose of 30 g (with milk) before training and a dose of 30 grams (with water) after training. Whey Protein Isolate (Milk), Beef Protein hydrolysate, milk protein isolate [PeptoPro®]), BCAA 8:1:1 (L-Leucine, L-isoleucine, L-valine), acidity regulator: citric acid , flavorings, natural colorings, sweeteners: sucralose.